Perfect for Valentine’s Day, this Share The Love Flyover Signage celebrates the Holiday without needing to say it by name. Very possibly it has application beyond the present. Flowers and greenery at least offers possibilities through Spring and Summer. 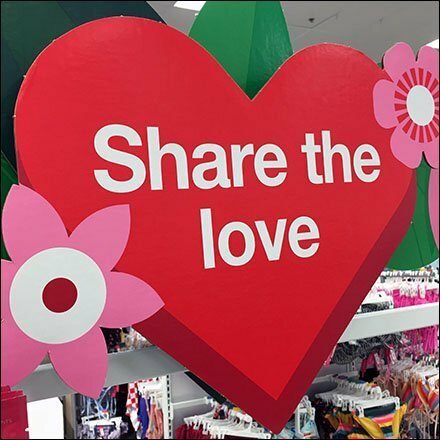 This Share The Love Flyover Signage seen at Target.